Responsive web design is more than just the latest trend in web design. If you live in the digital world, you’ve probably already heard of it and may have seen it used on many of your favorite websites in the last few years. If you haven’t, responsive web design is the approach to designing websites in which the content automatically self-adjusts to your screen or device size for optimal view. In the past, businesses would need to hire a designer to make different versions of their website if they wanted it to be usable on mobile devices. These would usually include a version for desktop users, mobile phones and maybe even a tablet version. However, with a growing plethora of devices users were able to browse the internet on, this quickly became a difficult strategy to implement. With responsive design, you have only a single website that automatically adjusts its contents and layout to fit whatever screen size or “viewport” it’s being viewed on. How Can Responsive Design Help Me? Now that we understand what responsive design is, the next question might be how can responsive design benefit your business? One of the biggest ways responsive web design can benefit your business is improving your ability to reach the large audience of mobile device users in search engines. Over 80% of adults in the United States own a smartphone with internet access, and reports show that mobile devices accounted for over 60% of website traffic in 2014. The mobile device market is growing every day and as more people adopt these devices we will only see these numbers grow. If you sell businesses products or services online, you should be concerned about how you can increase your sales or increase the conversion rates of your website. Responsive web design will also make your website look better, be more user-friendly across different devices and provide a consistent user experience. In turn, this will help drive sales and have a positive impact on your conversion rates. In short, having a responsive web design can actually help you sell more of your products or services and make more money as well as make your website easier to use. Google also has stated that they are going to begin demoting websites that are not deemed “mobile-friendly” in its search results for people searching on mobile devices. You can test whether your website is “mobile-friendly” according to Google by visiting Google’s Mobile Friendly Test page and submitting your website address there. Another important benefit of responsive design is that it can actually save you time and money. Designing a responsive website is faster than creating separate stand-alone websites for mobile viewing and will save you money when it comes to your development, support and maintenance overhead over time. 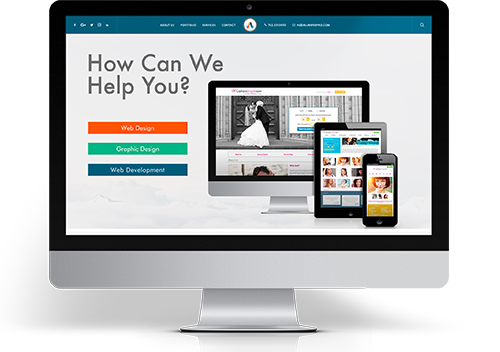 The good news is that most website themes built today are responsive by default, and is now considered the norm in website development. All in Web Pro is a leading Las Vegas’ web design company. We understand that your business depends on staying connected to your clients, and we’ll ensure that you’re delivered a professionally designed website that will engage your audience, showcase the best you have to offer, and deliver results for years to come.